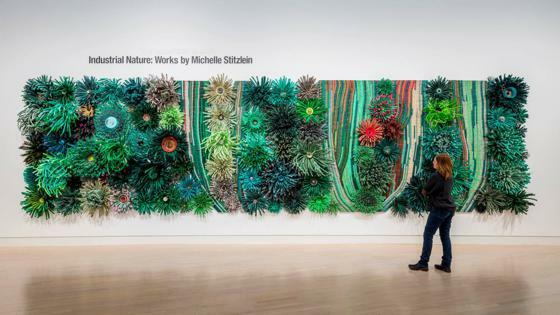 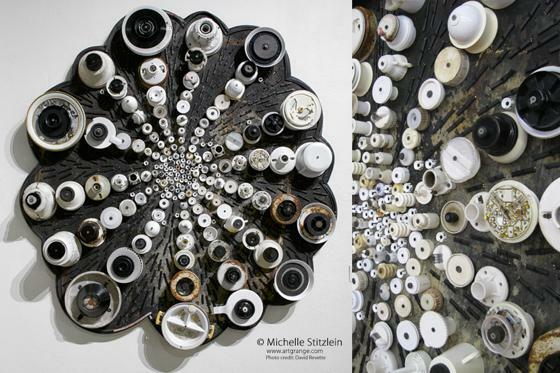 Michelle Stitzlein is an artist who lives and works in Baltimore, Ohio. 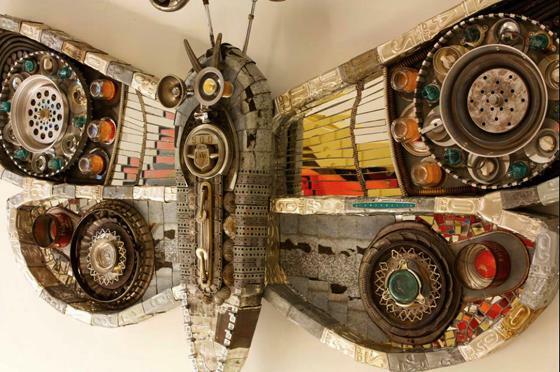 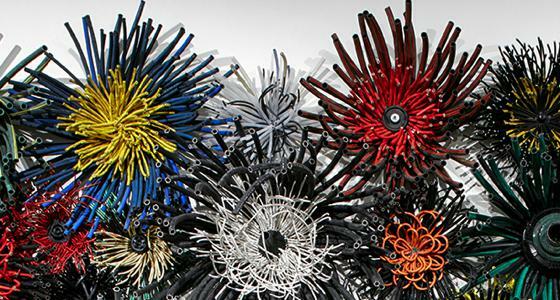 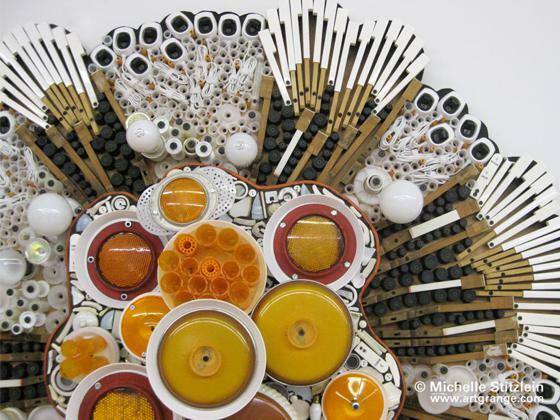 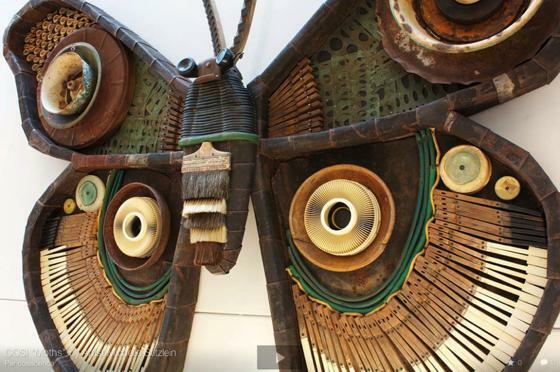 She creates large scale sculpture from recycled materials. 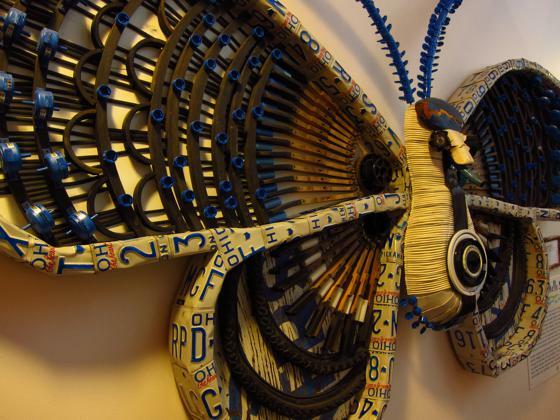 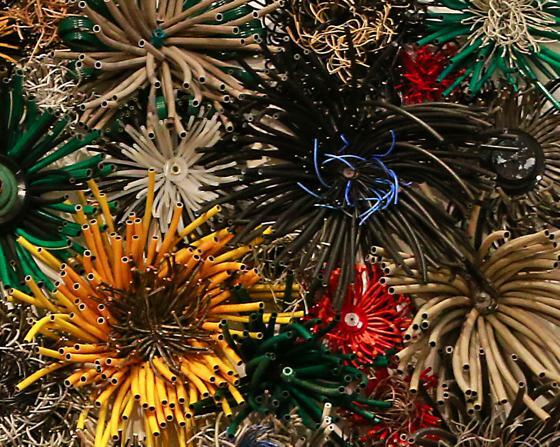 Items such as old garden hose, electrical wire, computer cables, piano keys, mini blinds, china shards, license plates, and bottle caps are utilized to create imagery and abstractions born in her imagination.